“BSD licenses are a family of permissive free software licenses. The original license was used for the Berkeley Software Distribution (BSD), a Unix-like operating system after which it is named.The original owners of BSD were the Regents of the University of California because BSD was first written at the University of California, Berkeley. The first version of the license was revised, and the resulting licenses are more properly called modified BSD licenses. The prices are other facts (like the current economic situation in the world) that have taken people to change from a second life sim to a opensim sim, even me I can’t pay for a second life sim which cost around $295 a month and even more than that. With this bargain (free and cheaper opensim sims) it make possible that someone can have a region or a sim. “In one big country, there’s a big fastfood company with their own private license hamburger recipe, but in this country there are thousand of small fastfood companies sharing a “free license” hamburger recipe. The big fastfood company has something like two hundred restaurants. While the small fastfood companies have each other a few restaurants. 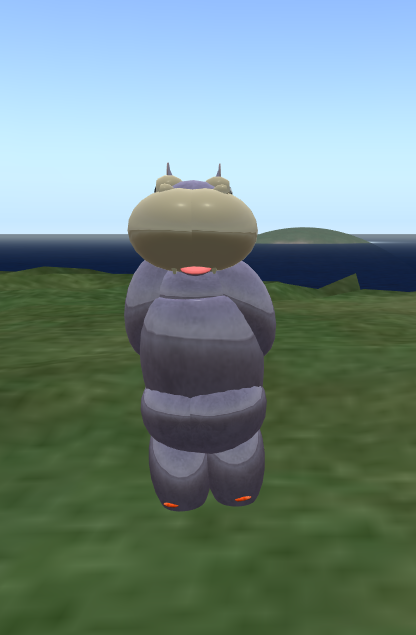 Osgrid has 11,919 regions and Second Life has 23356 regions. I think that you cannot compare all the regions of the opensim grids with the regions of second life grid. You can compare one on one, but not one hundred against one (that’s what I think about). Can you compare all the small stores who sells a “free license ” orange juice formula with a big store with their own”private license” orange juice formula ?. This entry was posted in Start and tagged grids, open simulator, Opensim Grids, opensim regions, second life, second life regions, sims on February 24, 2012 by Xpontaneus. Cloud Avatars in OpenSim, Possible Problem and How it Can be Fixed. Before someone anyway will begin to read this post, I want to make clear that this will be one of my longest, I found so much information about Cloud Avatar in Opensim, so I decided to add all this information in here but also i don’t give any kind of tech support or any support on different grids, I just added this information because it worked on my problem and I wanted to share with the opensim grids users. Usually, I spent some of my free time doing some test on different Sl Viewers with different metaverses (specially testing them on Second Life grid but also other opensim grids related). One of the most common problems that I have found, it is about the well known “cloud avatar”, which make you look like a little white smog or a white cloud. This is very uncomfortable just because you don’t see yourself and sometimes, also other residents can’t see you. As it is a common problem in SL and it is easy to fix (well depends on the case but usually it can be fixed) but in Opensim it is harder task and even if you are in a standalone sim (running opensim in your own computer with your own server) this can be very annoying, because what ever you do, like cleaning cache, do a character test or even force params to default most of the time this will not work. If you try to repair The Cloud Avatar in OpenSim with cleaning cache, character test and force params to default, most of the times it will not work, repairing the cloud avatar in opensim seems to be harder to do than SL but I found a useful method that can be helpful. But the main problem of The Cloud Avatar in OpenSim it isn’t on the platform, the problem just happens with the viewer we are using to log in opensim. 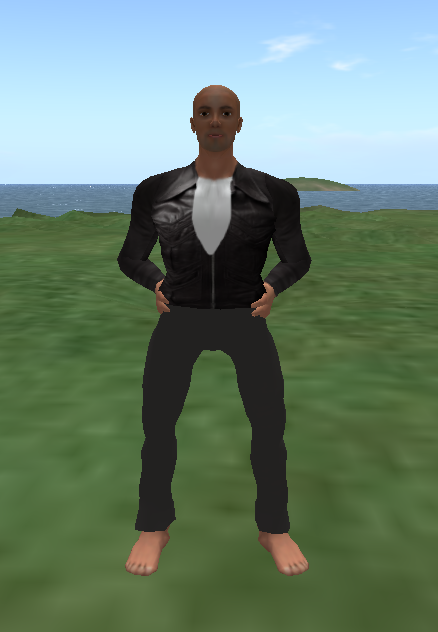 If you change or use so different viewers like Phoenix, FireStorm or even Imprudence there could be a problem later with the avatar, specially when you are two diferents versions of a viewers like V1 or V2, it is recommended just to use one viewer to log in opensim (specially V1) so The Cloud Avatar problem no appear again. “I’m fairly sure it’s a viewer-side affect. I first logged in to the OS Grid shortly b4 the 1.20 SL viewer came out. Upon upgrading to 1.20 to access OSGrid I never could get out of being a cloud so I went back to the 1.19.1(4) viewer.Have barely the graphics capability on any of my machines to truly appreciate the high end rendering of the newest viewers anyway. I think you can probably put a skin and shape on if one alters appearance using the option under Edit… Appearance…. 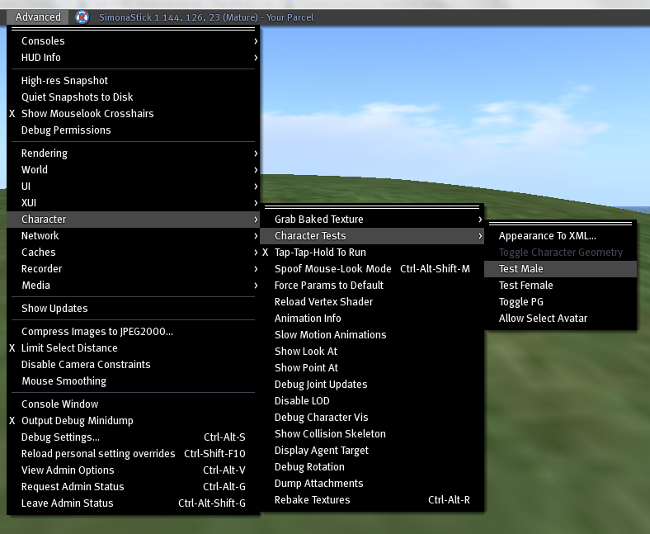 The avatar don’t load like that outfit I am wearing n Cool Viewer V1.5, its a incomplete avatar and this is the first one I created in Firestorm V3, As you can see the outfit information in different viewers are store in a different way on the database server. With this example I hope that everybody, can understand what I am trying to say because when you log to opensim grids using different viewers so many times then one of this days you could be an “Cloud Avatar”, which is very annoying being cloud in the metaverse but also not a easy to repair (if you don’t know what to do) than in Second Life. With this easy steps your avatar should be normal again, anyway I don’t know if this works 100% in all cases, if this didn’t work on your avatar then you should contact your opensim grid provider and ask them for some help about it. Visit their forums, their chat or even may be sent a email to them and I am sure they will be glad to help you!. This entry was posted in Old Post and tagged grids, life grid, opensim, second life on January 2, 2012 by Xpontaneus.